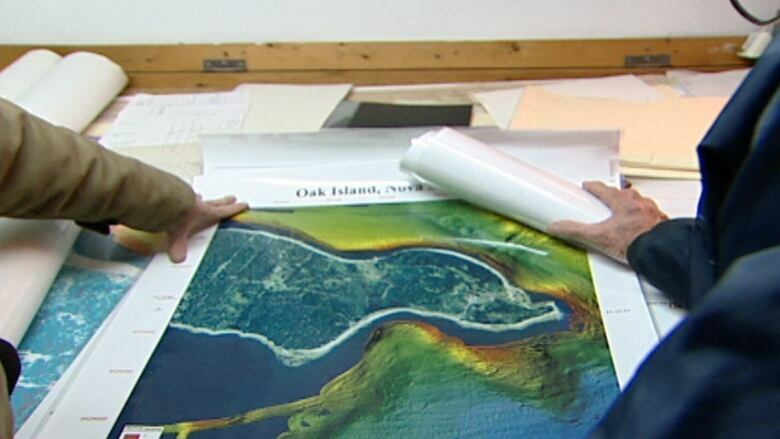 A new television series is fuelling the dreams of treasure hunters in the search for Nova Scotia's legendary treasure trove at Oak Island on the province's South Shore. For more than 200 years, treasure hunters have flocked to the small island in Mahone Bay, hoping to find the treasure alleged to been buried on Oak Island. 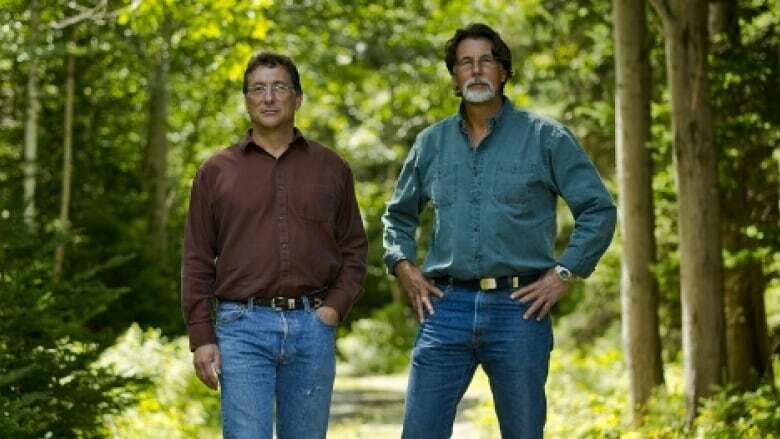 The Curse of Oak Island, a new series airing on the History Channel, follows two brothers from Michigan — Rick and Marty Lagina, who have purchased part of the island — and their attempts to find the treasure. David Blankenship has been looking for the treasure since 1975. His father owns part of the island. Blankenship remembers the day producers from the show came calling. "I thought they were nuts," he said. Still, Blankenship admits he wants to believe a great treasure trove remains buried on Oak Island. There are several theories about what's buried on the island, including pirate treasure, a golden trove buried by the Knights Templar and the missing French crown jewels once belonging to Marie Antoinette. "I hope it's the Knights Templar. They had, what, 13 ships left England that's never been found?" said Blankenship. "That's cool. It was loaded with gold." Six people have died in pursuit of the treasure, either in collapsed excavation pits or other accidents. In its dramatic opening, The Curse of Oak Island begins: "An ominous legend says that seven people must die in pursuit of the treasure before Oak Island will reveal her secrets. So far, the body count stands at six." Whether that's true remains to be seen. Since the 18th century, many have tried and failed to find the riches said to be buried on the island. As legend has it, in 1795 a trio of young men noticed a depression in the ground. Recalling local lore that said pirates had stashed their booty on many of the islands in Mahone Bay, they began to dig. A layer of flagstones gave way to two wood platforms farther down, but nothing turned up. Disheartened, the three abandoned the dig. Nine years later, in 1804, they returned as part of a syndicate formed to retrieve the island's buried secret. Thirty metres down, they said, they found a slab carved with unfamiliar symbols and felt certain they were close to the treasure. But when they returned the next morning, the shaft was two-thirds full of water — the result of what some say was an elaborate booby trap designed to keep greedy hands off the prize. Others dispute that claim, with critics arguing the apparent pit is a natural sinkhole. Millions of dollars have been spent digging pits, looking for gold and other buried treasure. Even Franklin D. Roosevelt financed a dig. But not a single coin has been found. The Curse of Oak Island aired its first episode on Jan. 5. The show is considering shooting season two this summer. Blankenship said he'll welcome the company after a long, lonely winter on his personal treasure island.